By choosing ‘Custom station’ you will start the menu for setting up a new station. 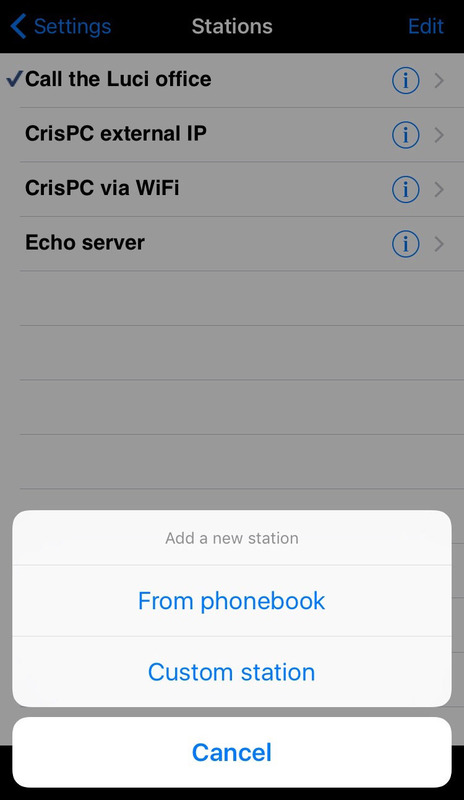 Your new station will at first use the same settings as the currently loaded station. From here you will be prompted to ‘Title’. Fill in the name of your station. Always start by giving the new station a name, otherwise it will not be saved. 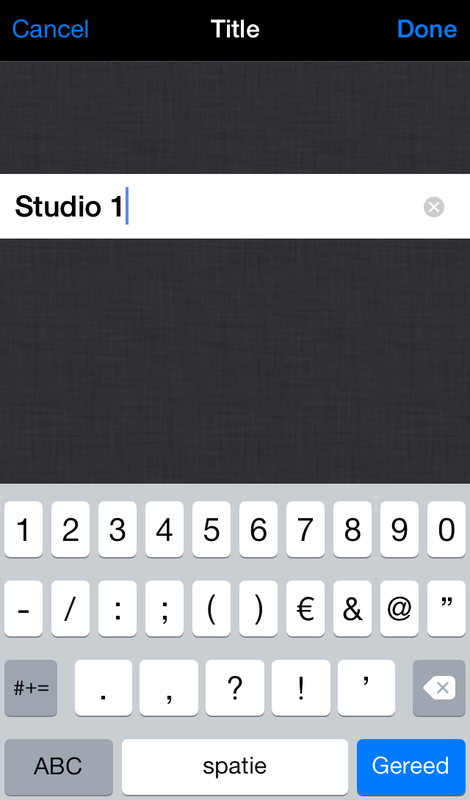 In this case we will name it Studio 1 and alter the settings. RTP: send and receive a symmetric RTP stream with integrated signalling. SIP: You can use SIP in combination with formats like G711, G722 to connect to standard VOIP equipment. Or use other codecs like AAC-HE or MP2 to connect to other SIP compliant codecs. Default value is set on 64 kbps. 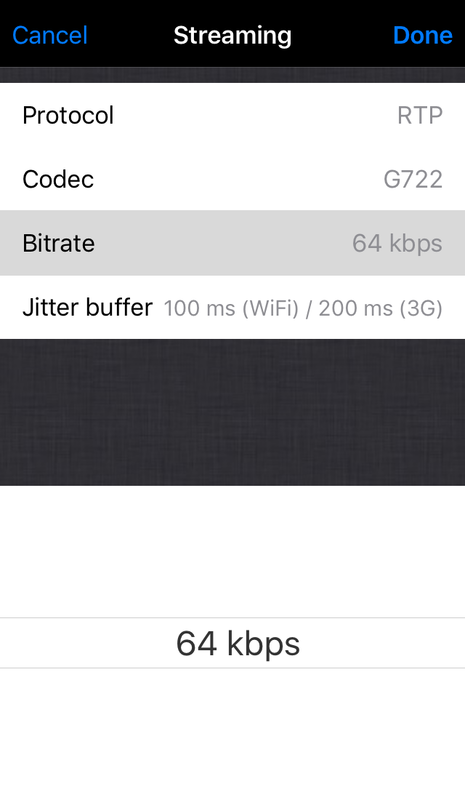 Set the bitrate of the codec format you select. 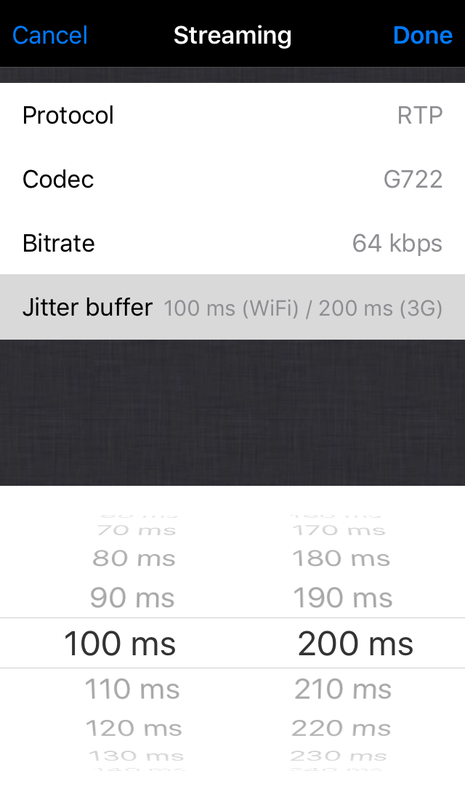 Supported bitrates depend on the chosen codec. 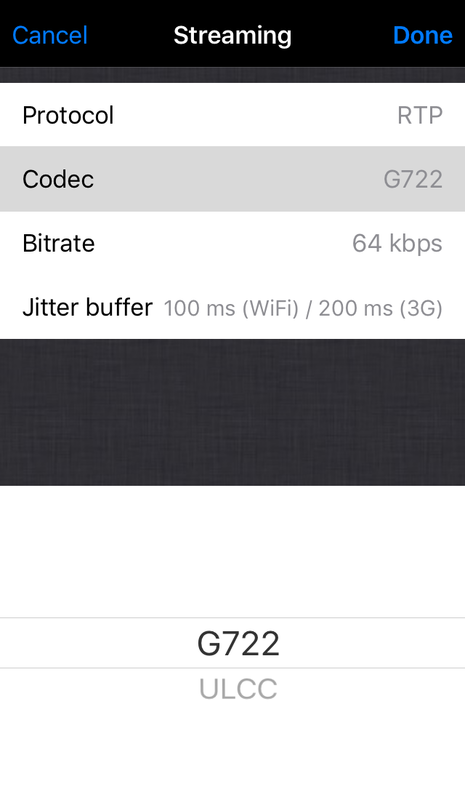 As LUCI Live Lite has only 2 codec formats that both have only 1 bitrate option, the value shown is only informative and can not be set. Default value 100 ms (WiFi) / 200 ms (3G). 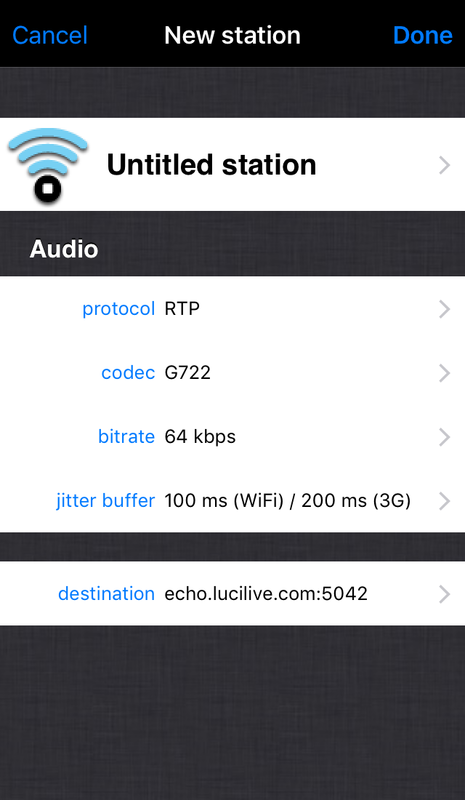 Supported buffer length WiFi and 3G: 10 ms to 500 ms. 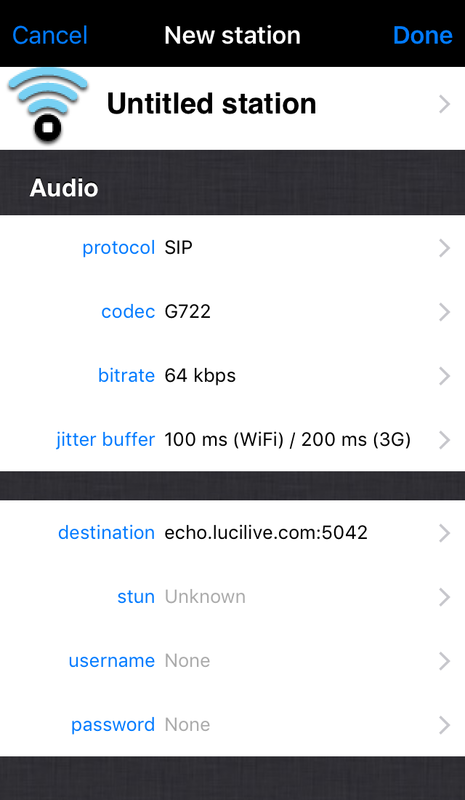 This is the jitter buffer that LUCI uses for the RETURN stream. This will NOT have any influence on the outgoing stream to the studio. 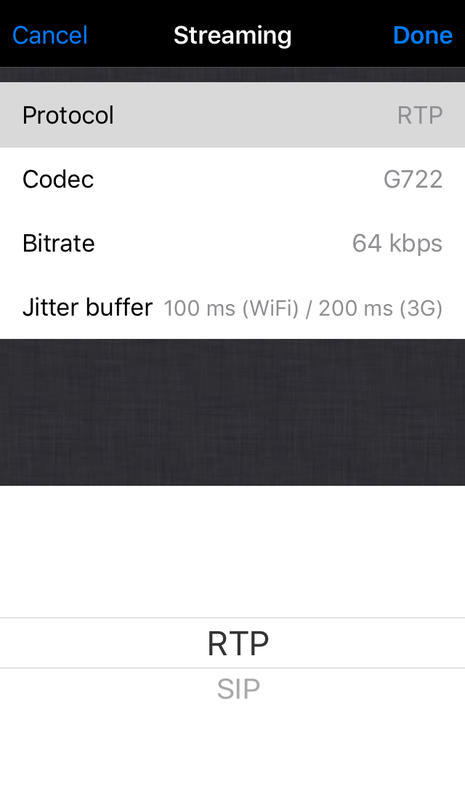 This is a setting that you can choose so the software determines the buffer that is needed to get a drop free connection automatically while you are streaming. 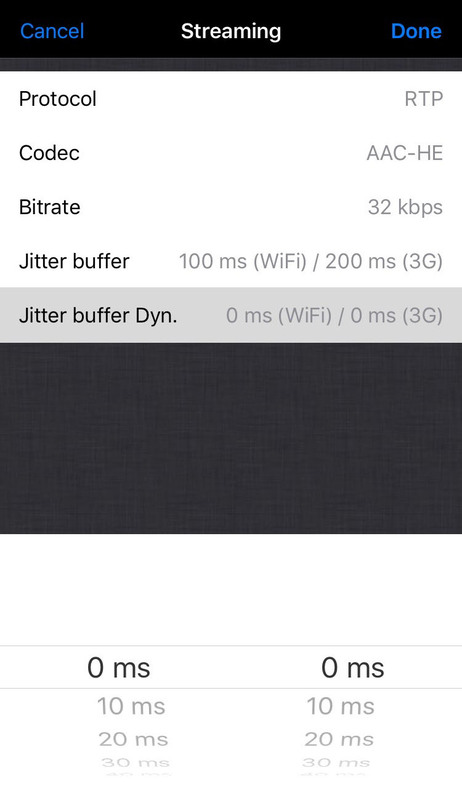 It takes the normal jitter buffer setting ( say 50 ms ) as the lowest possible, and the Jitter Buffer Dyn. setting ( say 200 ms ) as the possible range ( so buffer automatically set is between 50 and 250 msec ). 0 ms will set this feature off. From here you will be prompted to ‘Host’ for filling in the IP address of your station, the Port number and the Stun (use only for SIP protocol if needed). 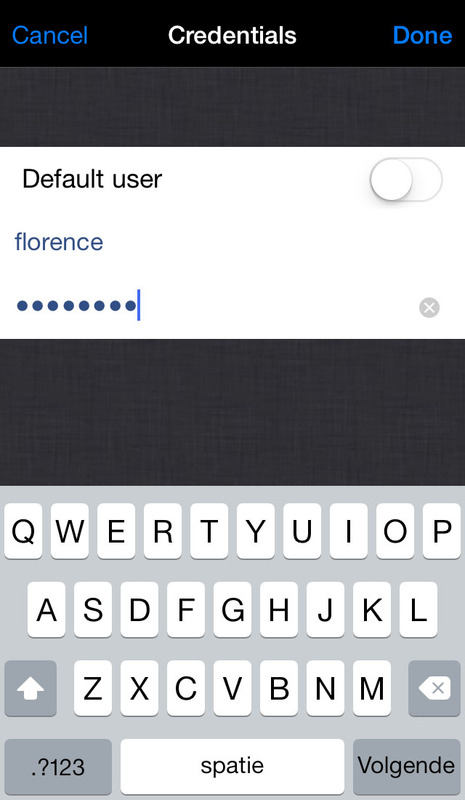 From here you will be prompted to ‘Credentials’ to fill in your login credentials. 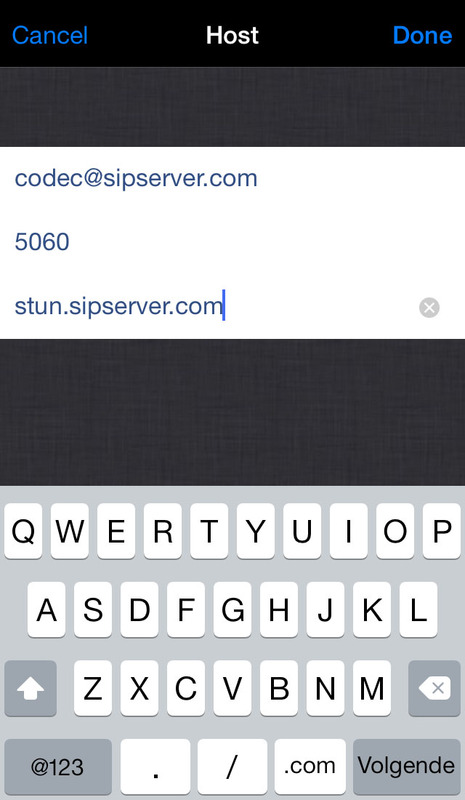 Use CODEC@SIPSERVER or CODEC (when there is no SIP server) where SIPSERVER is the URL or IP-address of the SIP server. Fill in the port number you want to use. Only valid for the SIP protocol, when needed. Your username is the name you use to login at your server. Only fill in username if you want to log in to a SIP. belonging to your username. Passwords are used only together with usernames for logging in to SIP.